When you are writing a cover letter to accompany your resume as part of a job application, it's important to make sure that every word counts. Your cover letter should enhance the employer's view of your qualifications, so you can move from being an applicant to an interviewee. Keywords are a vital element of a persuasive cover letter, as they're capable of portraying a candidate as a highly qualified applicant for a job. These words fall into three general categories: skill words, results-oriented words, and words which show recognition for achievements. Keywords work in a couple of different ways. First, the keywords you include in your resume and cover letter will be used to match your application with the skills required by the employer in the job advertisement. This matching process is often performed by automated applicant tracking systems (ATSs), programmed to identify specific keywords and to rank all resumes accordingly before they even reach a hiring manager. If your cover letter and/or resume lack these keywords, they may be automatically cut from consideration at this stage of the evaluation. Secondly, keywords that are incorporated into a cover letter will show the hiring manager how and why you are highly qualified for the job, allowing them to rank you among your competition and, ideally, to offer one of their interview slots to you. Job seekers should carefully analyze the skills required to excel in their target job and incorporate them into their cover letter. Those keywords should also be included in your resume. It will be more genuine if you paraphrase the skills mentioned in job ads, as opposed to listing them verbatim. Skill words are most effective when connected to a specific role or project where the skills were crucial to success. Examples of skill keywords include: wrote, analyzed, quantified, planned, programmed, designed, created, built, taught, and trained. I utilized quantitative stock valuation techniques to create a portfolio for high net worth clients, which beat the market for three consecutive years. The skills keywords included in your cover letters (and your resume) will help your application get selected by the software employers use to select candidates for further consideration. They will also show the hiring manager, at first glance, what skills you have that are related to the job for which he or she is hiring. All employers are looking for employees who will add value and generate positive results for their organizations. 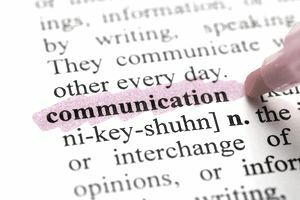 That's why it's critical to integrate results-oriented language into your cover letters. Think about the bottom line for each job on your resume and how you might have made things better in your role. Your cover letter should showcase your accomplishments, not just your skills or personal qualities. Providing these details will help to set your letter apart from those of other candidates who don’t highlight their professional achievements. Examples of results-oriented keywords include: increased, reduced, redesigned, upgraded, initiated, implemented, reformulated, generated, and produced. I reduced turnover among first-year hires by 20% by implementing a mentoring system. By using these types of keywords, you are clearly showing what you accomplished in your previous roles. Hiring managers will be more likely to believe that you will be an outstanding performer if it is clear that previous employers have viewed you in this way. One way to do this is to incorporate language which demonstrates that employers have recognized your contributions. Examples of recognition related keywords include: honored, awarded, promoted, selected, lauded for, received a bonus for, recognized, chosen, and credited. I was designated as the team leader for the budget reduction task force by my Division Vice President, based on my previous record of accruing cost savings. Recognition keywords attest to how you have excelled in your previous jobs and how you have accomplished more than was required. When you're choosing keywords to include in your cover letter, an easy way to find the best words to use is to match your qualifications to those listed in the job listing. Highlight your strongest assets, so you can show the employer why you're well-qualified for the job and deserving of an interview.